Slice (unrolled) crescent roll dough into 1/4 inch slices (as if making slice-and-bake cookie dough). Place slices of dough on cookie sheet and make slight indention in the middle. In a large bowl, mix together cream cheese, white sugar, lemon juice, vanilla extract and sour cream. In a small bowl, stir together confectioners' sugar, milk and butter. 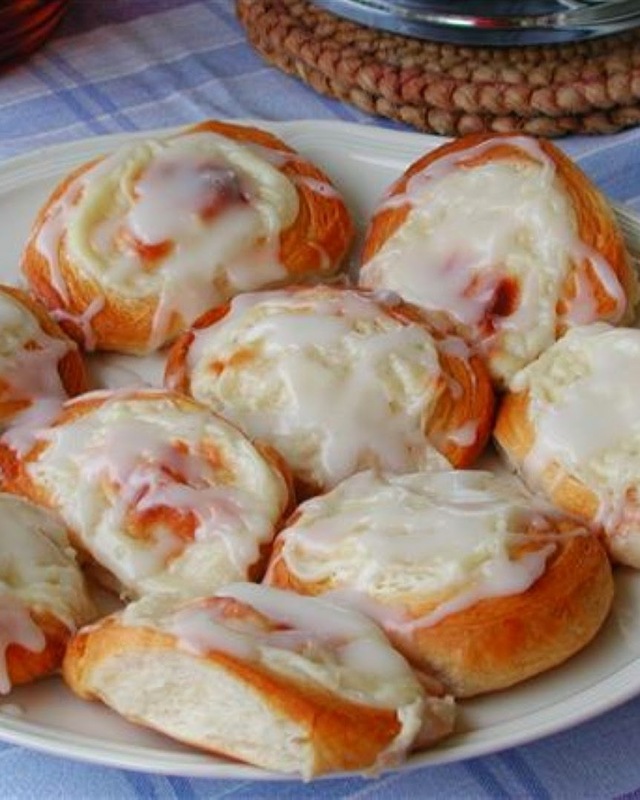 After Danish has cooled, drizzle with icing.